Based on the award winning children’s book by Maurice Sendak, this film is an exploration of the dark and wonderful imagination of a child called Max. A young boy called Max (Max Records) runs away from home following a tantrum, retreating to a world of his own imagining full of wild beasts who hail Max as their King. James Gandolfini, Paul Dano, Forest Whitaker and Catherine O’Hara provide voices for the wild things. Adapted and directed by Spike Jonze (Her, Being John Malkovich) it retains much of the awe inspiring magic of the book while adding a more complex plot. Before the Disney version was ever dreamt of, Jean Cocteau wrote and directed his own version of Jeanne-Marie Leprince de Beaumont’s classic tale of magic, romance and identity. Between 1899 and 1913 it had been adapted five times, but Cocteau was the first to make a feature out of it. Josette Day (Les Parents Terribles) and Jean Marais (Orpheus) star as Belle who sacrifices her freedom for that of her father and the Beast who keeps her locked up in his neglected but magical castle. This film is sublime in ways that I cannot even begin to do justice to in words. It captures the heart of the fairytale; the humour, the romance, the sinister undercurrent and above all the beauty which is so tantalising and keeps us wanting more. Perhaps unsurprisingly based on his work here, cinematographer Henri Alekan went on to be nominated for an Oscar for his work on Roman Holiday (1953). Initially, writer and director Cocteau and Alekan clashed over the visual aspects of the film. Cocteau favoured a hard-edged style while Alekan preferred soft-focus. As director, Cocteau had the final say and after a rough first couple of days Alekan came around to his way of thinking. The look and feel of the film is heavily influenced by the work of Gustave Doré and his illustrations of the nineteenth century French edition of Don Quixote (see right). To play the part of the Beast, Marais spent five hours getting into his outfit every morning which included being covered in animal hair and wearing fangs that could not be removed until the end of the days shoot. This meant that he could not eat anything more than mulch during the day to avoid damaging the fangs. Marais had quite strong opinions on what the Beast should look like. Supporting Beaumont’s original story, he felt that the Beast should have a head that resembled a stag, with antlers, to draw upon the image of Cernunnos, the Celtic stag-headed god of the woods. 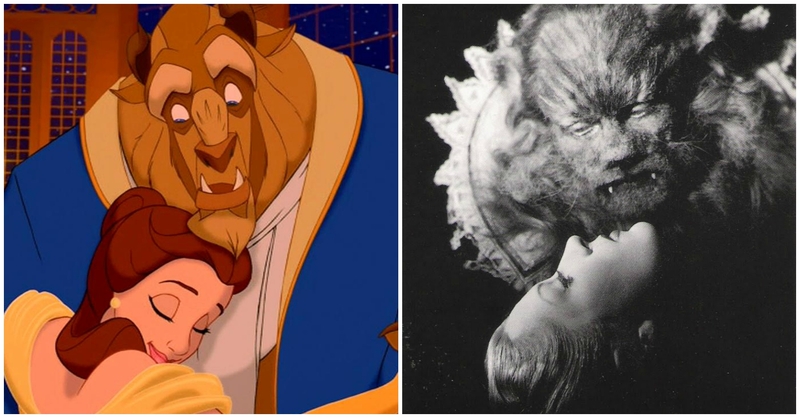 However, as with Alekan, Cocteau’s vision won out and the image of the Beast as he is now recognised in Disney’s version was born. I know I have already used the words beautiful and magical to describe this film, but it really is. If you haven’t seen it, you absolutely must! I saw it for the first time at Bath Film Festival and was completely moved.